Getting there: Fly to Bankok Airport and then connecting flight to Phuket. Weather: Visit during the dry season from November through to February/March each year. 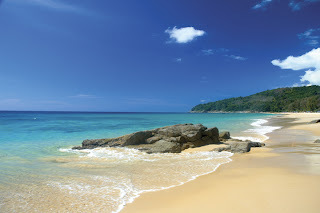 * Phuket's coastline is over-saturated with tourists and resort towns. The costs of the hotels/restaurants are one of the most expensive in all of Thailand and not much of bargains can be found since the invasion of multi-national corporate chains. 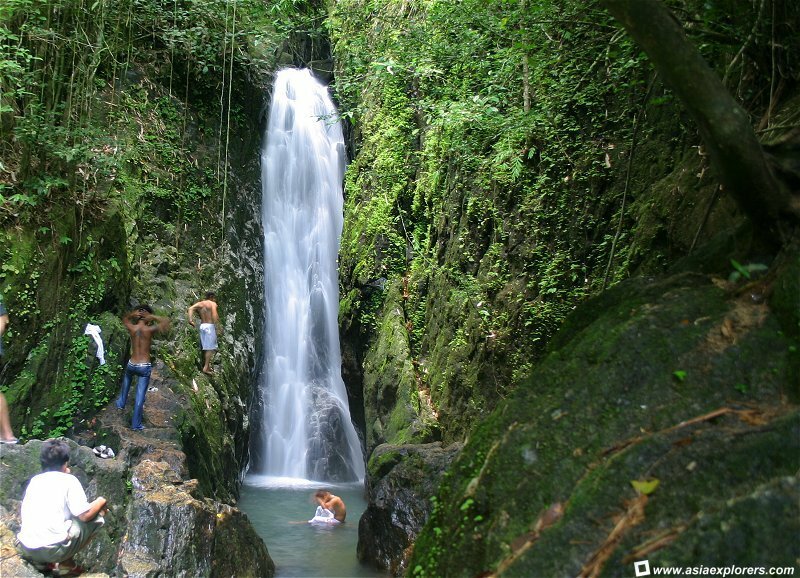 But despite it all, the natural beauty of the water, beaches and near-by natural wonders are simply breathtaking and makes it all worth while visit. * The beaches are on the west coast, stretching some 45km from Mai Khao beach in the north to Rawai in the South. * Recommend the following beaches & its near-by accommodations for those seeking to escape the crowds for a relaxing and quiet holiday. 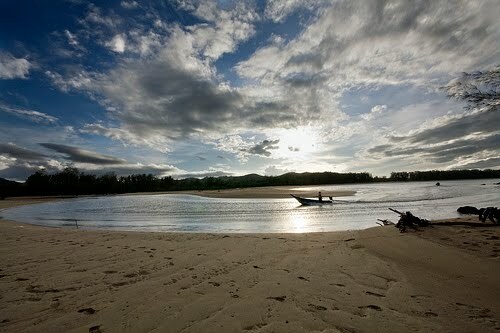 Just south of Phuket Airport, Nai Yang beach has a few nice resorts and part of the beach is a national park. Some beachfront restaurants are close to the Nai Yang Beach Resort. If you prefer to stay in a developed district with a small town charm, then I recommend Kamala which is in a largely Muslim community. There are a few big resort hotels and a smattering of small resorts and guesthouses. The North end of the beach is very quiet. Ao Sane is home to some bungalows and the Baan Krating Jungle Resort. To get there, you first come to Naiharn beach and then drive through Meridien Yacht Club. A quiet spot with a nice view across Naiharn bay. One of Phuket’s quietest beaches. It's located just before Rawai on the road from Chalong. No hotels or restaurants except a little food stall, sand, rocks and a great view can be found here. Naithon Beach is located in between Nai Yang and Bang Tao beaches. Although it's not easy to get to, it's well worth the effort. Kata Noi stretches along and ends at a cul du sac. Just a few minutes drive south from Kata Beach. (Note: Kata Beach is very popular with the younger crowds and has a spring-break vibe with a plenty of cheap to moderately priced hotels/bungalows). Layan is nice quiet beach which is a part of a national park and on the far north end of Bang Tao Beach. There are a couple of resorts here, but they are built off the beach and do not detract from the scenic view. * Hotels 6 & 7 are located in between Naithon and Layan Beaches in a separate secluded beach area. 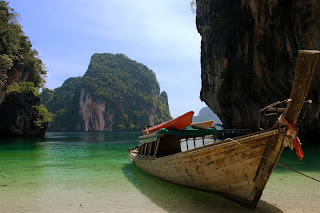 Phang-nga Bay: A bay on the eastern side of the island on Gulf of Phuket with a stunning view of towering limestone cliffs, rocks climbing from the water and mangroves. * Avoid the cruises and other large boat day tours. Phuket's markets: To soak in some culture, mingle with the locals and eat some of the best cheap grubs, always head out to a market. Best time to visit is in the afternoon to early evening when the temperature cools down or go check out the night market. http://www.asiaexplorers.com/thailand/bangpae_waterfall.htm. Close by is Gibbon Rehabilitation Center. Diving: Similan Islands offer the best, off-the-chart diving sites. It is comprised of 9 inhabited islands and located 40 miles west of Khao Lak or 60 miles NW of Phuket. Other diving trips also available. Local's insight on Similan Island: http://jamie-monk.blogspot.com/2008/09/similan-islands.html.